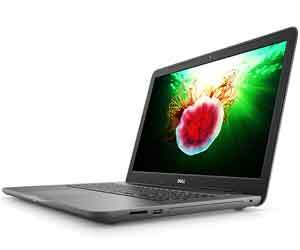 The Dell Inspiron 17 is the laptop in the series for someone who wants a machine 100 percent suited to their needs. With the wide range of processors, memory and storage. It is the most customizable laptop in the series. It is also the only 17” screen in the Inspiron laptop category, which is standard high definition with different options on video cards. The Inspiron 17 also comes in a 2-in-1 model for a 17" Tablet if that suits your needs. Check back often to see what kind of coupon codes and promos we have for this laptop, because if there are currently none available, there should be some soon. This laptop is made for a broad range of users. From professional to student to even a user that just wants a nice, dependable laptop with lots of power, style and performance. Again, with all the options this machine offers, the Dell Inspiron 17 laptops are guaranteed to suit your needs and we have all of the available coupon deals. Buy the Inspiron 17 5000 laptop with up to the 8th Gen Intel Core i7 processor, 16GB memory AMD Radeon 530 graphics and a 2TB hard drive with 256GB SSD, Deals Start at $579.99! The power and performance on this Dell Inspiron 17 series Laptop is impressive, even at the standard options. The new 17 Series laptops are available with the powerful 8th Gen Intel© Core™ processors. It has a wide range of memory and storage too, more than any other Inspiron laptop. It goes from 2GB which is standard, to an 8GB DDR3 with many different storage options to choose from. The battery life is immense, with up to around 8 hours if you choose the 9-cell option or go with the standard. The graphics and sound are very nice too. HD videos look awesome with the Integrated Intel HD video card. This laptop sounds great with the good speakers and looks even better. It is also worth mentioning that the non-smudge hand rest on the spacey keyboard with a 10-key numeric keypad.